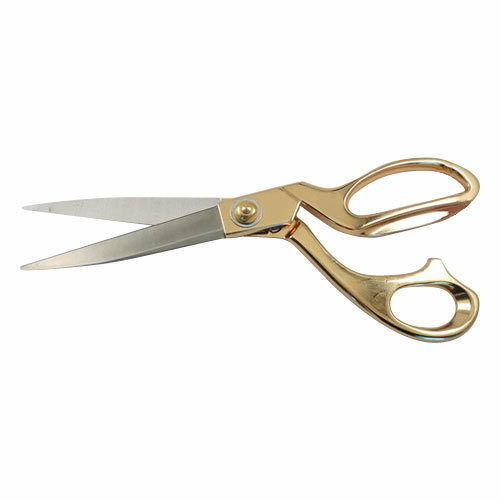 We have gained a huge appreciation in the market by offering an excellent array of Tailor Sewing Scissors. Established in the year 2014, we “Salamat Industries” are a notable and prominent Sole Proprietorship firm that is engaged in manufacturing a wide range of Sewing Machine Bobbin Winder, Bobbin Winder Ring, Bobbin Winder Spindle, Sewing Machine Winder, Bobbin Pin, Bobbin Winding Machine, CNC Spindle, etc. Located in Sangrur (Punjab, India), we are supported by a well functional infrastructural unit that assists us in the manufacturing of a wide range of products as per the set industry norms. Under the headship of “Mr. Halim” (Manager), we have gained a remarkable and strong position in the market.